The availability of a variety of fish is not very common in India. Certain areas in metros may offer you a good variety of fish. However, when it comes to small towns and cities, the only good fish available is locally produced and sourced. So, I grew up in an environment where a fixed variety of 4 – 5 kinds of fish were easily available, fresh and of good quality. I was never a great fan of eating fish. So, my connection with fish was formed after I married a complete fishitarian. I slowly started learning to cook and appreciate fish. Then I made a friend who is a complete foodie and fish lover and my knowledge of fish and its varieties increased. In this whole process of discovery and experiment, I discovered Telapia. So the very first preparation, like a true blue Bengal had to be with sorshebatta/mustard paste. 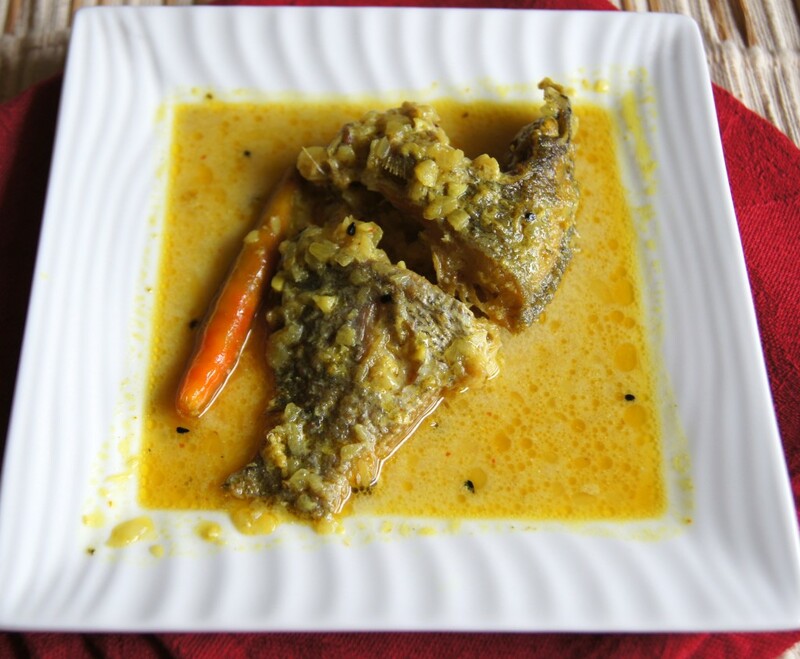 The fish took on the flavor of the mustard beautifully and it made a great combination with steamed rice for a sumptuous lunch. When cleaning any small fish always remove the balloon near the throat. That is one of the main things that burst when the fish is fried. Also clean all the scales close to the fins well. Those are the places that fish seller ignore to give a thorough cleaning and you don’t want fish scales in your food. Smoothly skinned fish is more prone to bursting. The trick to reducing the chances is to also apply 1 tbsp of mustard oil along with the salt and turmeric while marinating. However, this is not the ultimate solution when frying all types of fish. Always be very cautious while frying fish. All kinds of fish burst with oil now and then when cooking. 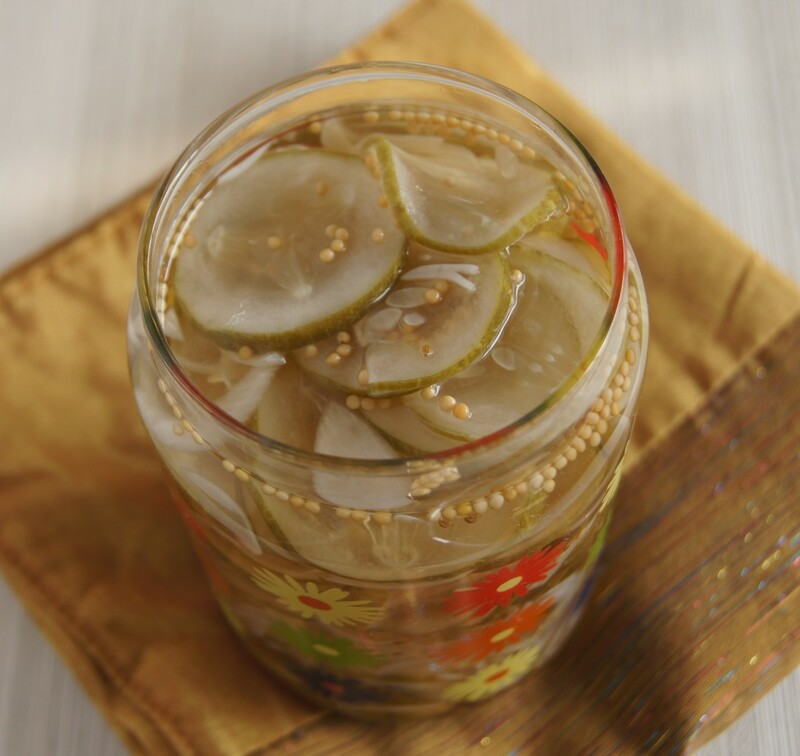 Soak the mustards in ½ cup of hot water for ½ hour before making a paste. It is best to use a Sil-batta for the paste, but a good wiz in the chutney grinder will also do the job. Wash the fish thoroughly and clean the insides well. Marinade with salt, turmeric powder and 1 tbsp of mustard oil and set aside for 30 minutes. Make the mustard paste with black mustard, yellow mustard and green chillies. Heat the mustard oil in a heavy bottomed kadhai and let smoke. Switch off the heat and let the smoke disappear completely. Now switch on the heat and keep on low and slowly and carefully slide in the fish 2 pieces at a time. Increase the heat to medium and fry for 1 minute on both sides. If the oil gets too hot then lower the heat. The fish should be lightly fried. Once the fish is fried, reduce the oil to 2 tbsps. Add the kalonji and green chillies to the oil and let crackle. Add in the chopped garlic and fry. Add the turmeric powder and red chili powder and fry. Now add 1 cup of hot water and bring to a boil. Add in the fish and cover and cook till almost done. Add in the mustard paste and bring to a boil. Switch off the gas and add 1 tbsp of mustard oil and cover and let rest.